The society welcomes people from every walk of life whose IQ is in the top two per cent of the population, with the objectives of learning, sharing knowledge and experience with others, and participating in a wide range of interesting and intellectually stimulating activities. 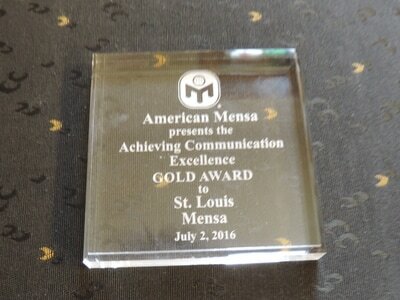 For more information on the various ways to join Mensa, visit http://www.us.mensa.org/join/. 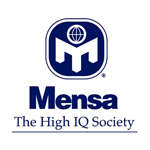 For information on Mensa International, Ltd., visit http://www.mensa.org/. 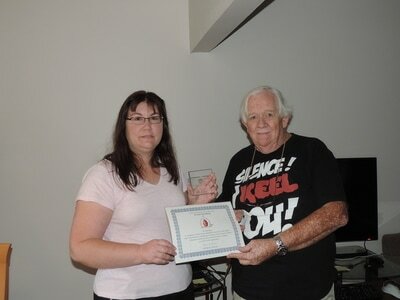 2012 St. Louis Area Mensa Member of the Year - Scott Middleton, with Barbara Kryvko, St. Louis Area Mensa President. 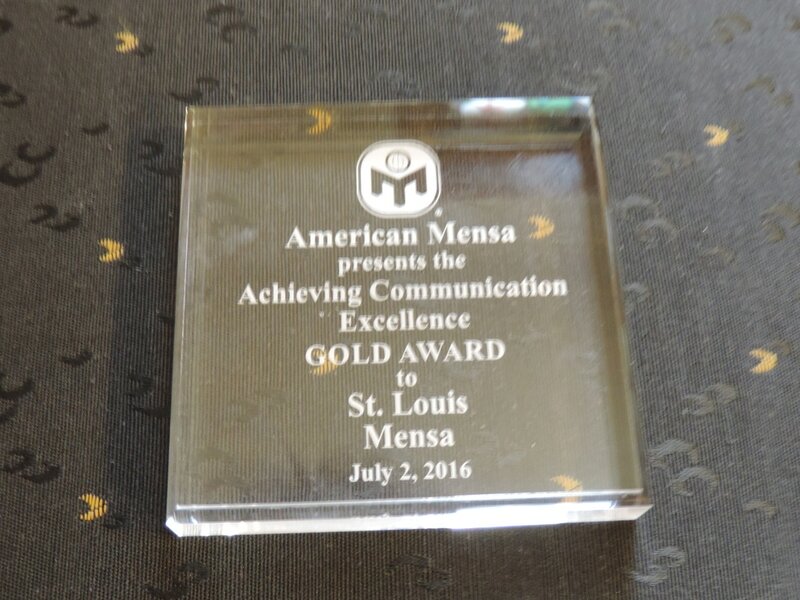 2016 Achieving Communication Excellence Gold Award and the Ruby Award with Angie Doering and Mike McMullon.